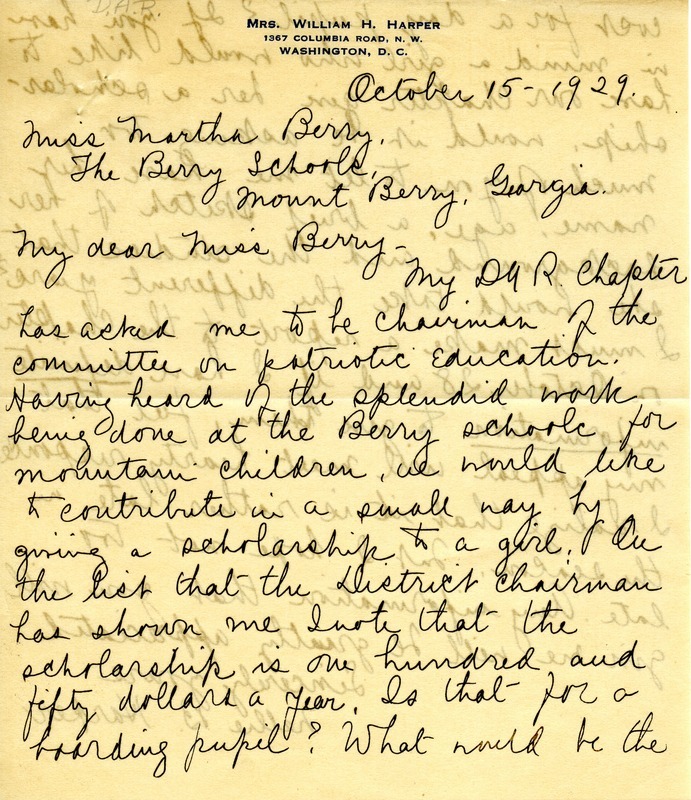 A letter asking for more information concerning a scholarship donation for a female day student in the amount of one hundred and fifty dollars. 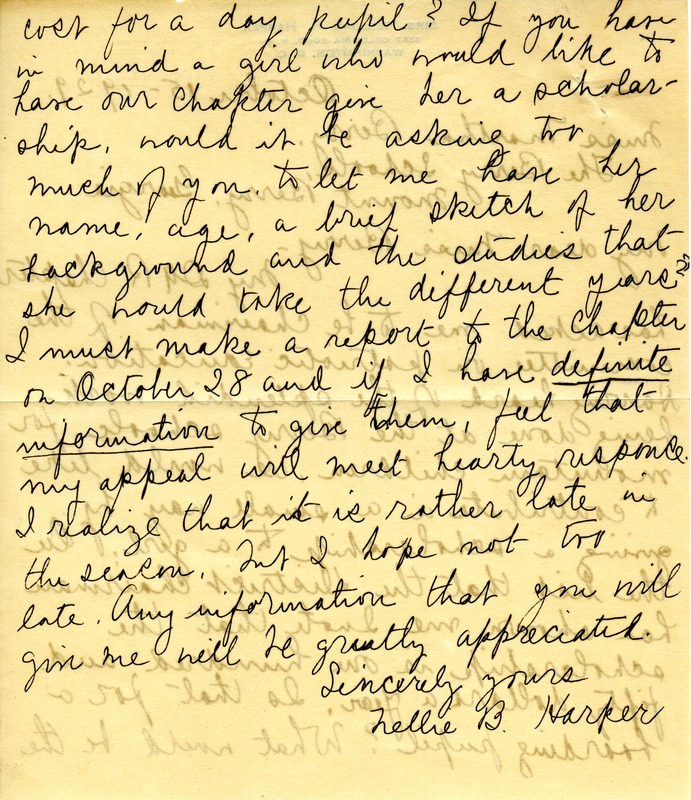 Mrs. William H. Harper, “Letter to Martha Berry from Mrs. William Harper.” Martha Berry Digital Archive. Eds. Schlitz, Stephanie A., Rachel Renaud, et al. Mount Berry: Berry College, 2012. accessed April 20, 2019, https://mbda.berry.edu/items/show/9945.